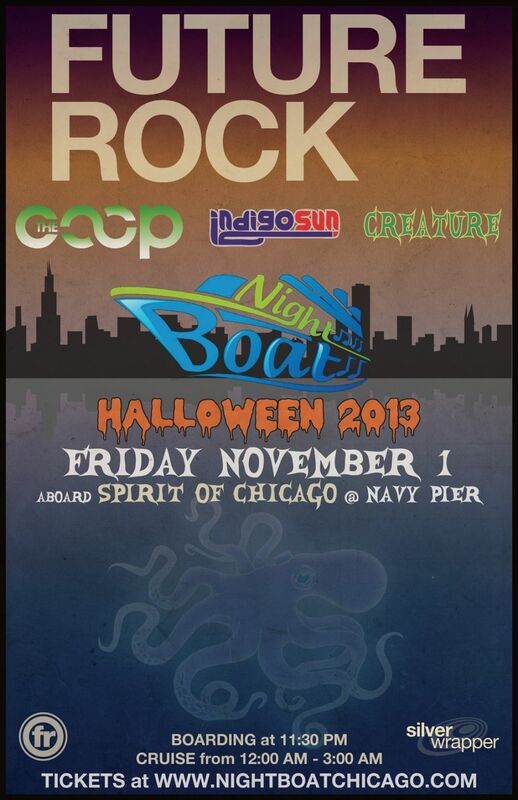 Future Rock will celebrate Halloween in Chicago, IL by taking the Nightboat, a.k.a. The Spirit of Chicago at Navy Pier, out on a Late Night Boat Cruise Freak Out on Friday, November 1, 2013. Nightboat is a nautical music and art experience. Boarding at 11:30 PM. Cruise is from 12:00 AM - 3:00 AM.